mPower is a mobile Parkinson’s Disease study, powered by HealthKit. It attempts to understand why people experience different symptoms, and why a person’s symptoms and side effects can vary over time. The process includes surveys and tasks that activate phone sensors. Progression symptoms, including dexterity, balance and gait, are tracked. 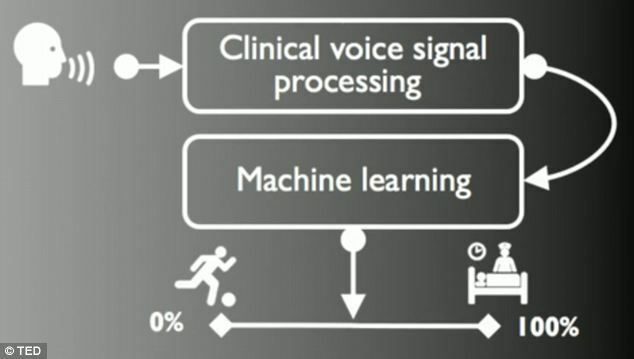 The goal is to understand variations, improve the way variations are described, and learn how mobile devices and sensors can help measure the disease and its progression. This study is sponsored by Sage Bionetworks and the Robert Wood Johnson Foundation, and builds on the work of Max Little. Florida Atlantic, Stanford, and Harvard researchers have developed a thin, lightweight, flexible “paper microchip” biosensing platform to detect and determine treatment for HIV, E-coli, Staphylococcus aureas and other bacteria. 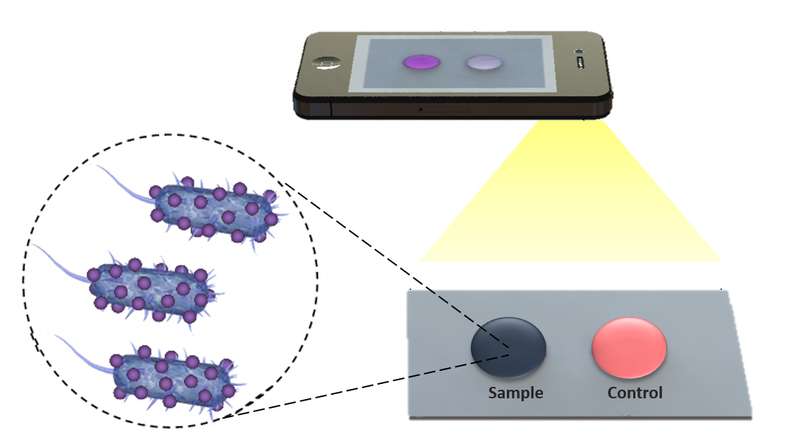 They have also created an app that could remotely detect bacteria and disease in the blood using mobile phone images. Current paper and flexible material-based platforms cost more and take longer. The researchers claim that the new platforms are uniquely able to isolate and detect multiple biotargets selectively, sensitively, and repeatedly from diverse biological mediums using antibodies. 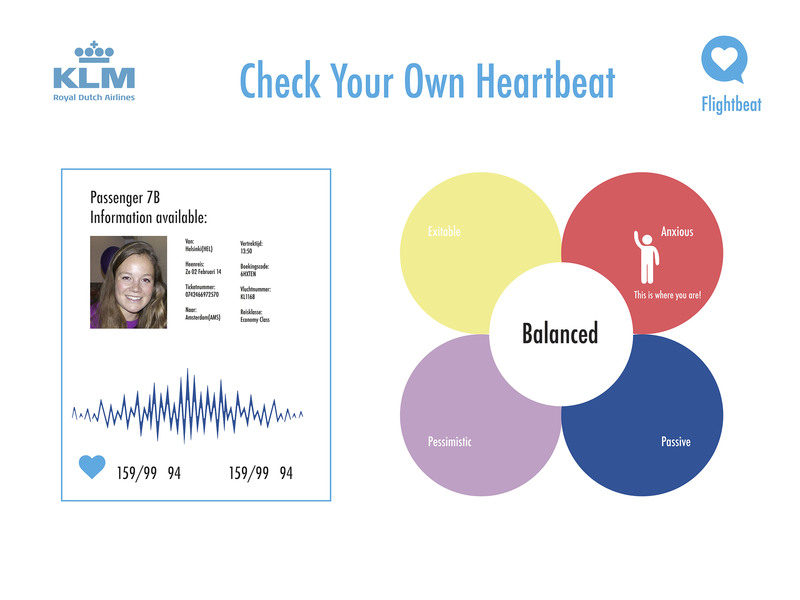 FlightBeat, designed by TU Delft students, uses airplane seat integrated heart rate sensors to monitor the physical and emotional state of passengers. Data is transmitted wirelessly to the crew, and presented on a color-coded seat map showing which passengers need attention. Health information can also be sent to physicians or family members on the ground. The goal is to optimize in-flight service, but the technology could save the lives of those unable to communicate, or one day detect heightened emotions of potential terrorists. WEARABLE TECH + DIGITAL HEALTH NYC 2015 – JUNE 30 @ NEW YORK ACADEMY OF OF SCIENCES. REGISTER HERE. North Carolina State University‘s Veena Misra is developing a wearable that detects asthma triggers. The device monitors environmental factors, such as ozone, carbon monoxide and nitrogen dioxide levels, as well as vital signs including heart rate and hydration. Sensor data is transmitted wirelessly to a phone or physician’s office. The intention is to guide people away from environmental conditions that exacerbate asthma and related respiratory issues. Wearable Tech + Digital Health NYC 2015 – June 30 @ New York Academy of Sciences. Register before April 24 and save $300. 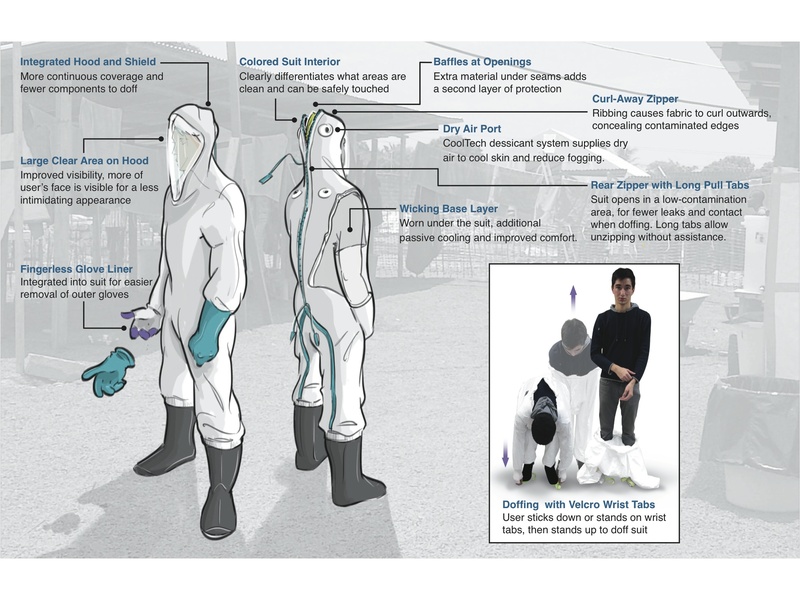 At SXSW this week, USAID unveiled a biomedical suit and a wearable sensor patch to protect doctors while treating Ebola patients. The John’s Hopkins developed suit takes two minutes to put on. It has anti-fogging capabilities and will contain a cooling system, allowing doctors to wear it for longer periods. Past protective suits took 30 minutes to put on, were hot and uncomfortable, and could only be worn for 45 minutes. 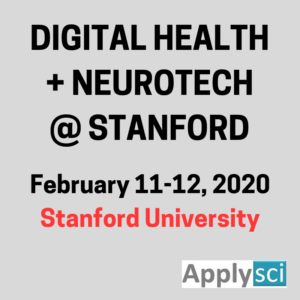 The MultiSense Memory patch described at the conference will enable doctors to remotely monitor patients. It is flexible , has multiple sensors, and attaches to a patient’s sternum with adhesive. The device takes baseline heart rate, temp and oxygen saturation readings, and measures all changes. The prototype uses a USB cable to transmit data, but the patch will use Bluetooth. It will cost $100 and will have 7 to 10 days of battery life. The average Ebola case runs its course in five days. Wearable Tech + Digital Healthy NYC 2015 – June 30 @ New York Academy of Sciences. Early registration rate available until March 27. MIT‘s Hamad-Schifferli Group and Lee Gehrke have developed a paper strip test that can detect Ebola, Yellow Fever, and Dengue Fever in 10 minutes. 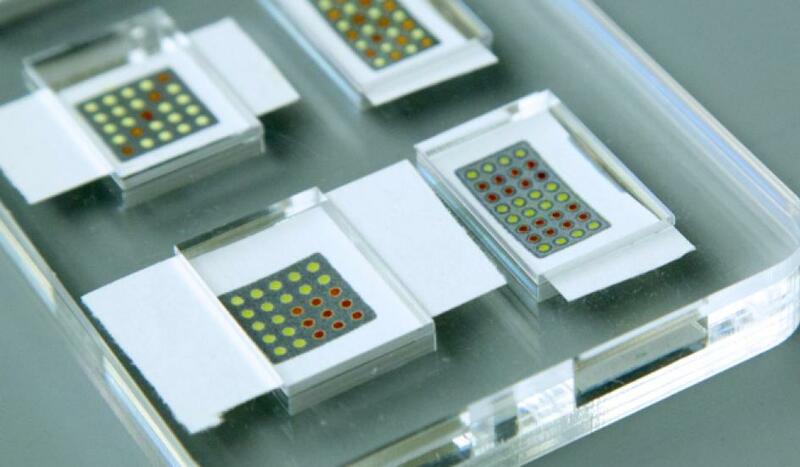 The strips are color coded, using triangular silver nanoparticles, to distinguish among diseases. The test relies on lateral flow technology, used in pregnancy tests and for diagnosing strep throat and bacterial infections. As blood serum flows along the strip, viral proteins that match the antibodies painted on the strips will get caught, becoming visible. This can be seen by the naked eye or with a mobile phone’s camera. This is the first time that a multiplexing approach, using multicolored nanoparticles to screen for multiple pathogens, has been done. In a recent study, MIT Media Lab‘s Max Little used machine learning tools to indicate early Parkinson’s Disease in a group of smartphone users. Phones were given to Parkinson’s patients and a healthy control group. 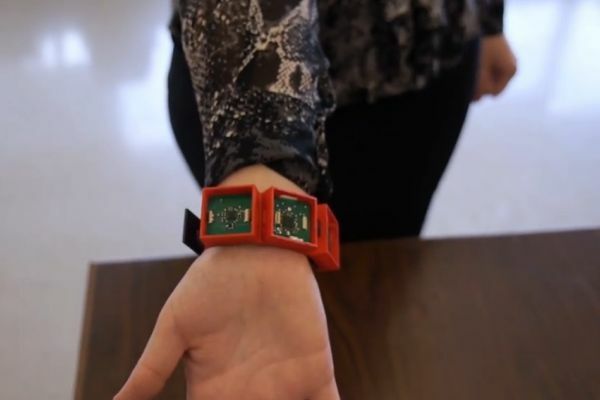 The built in accelerometer enabled Little to distinguish between those with and with out the disease with 99% accuracy. The detection method relied on subtle differences in a patient’s movement, including rigidity and impaired balance. In another Parkinson’s Voice Initiative study, 50 people were asked to say “ahh” into the phone for a few weeks. The audio recordings allowed Little to estimate disease progression using the Unified Parkinson’s Disease Rating Scale. 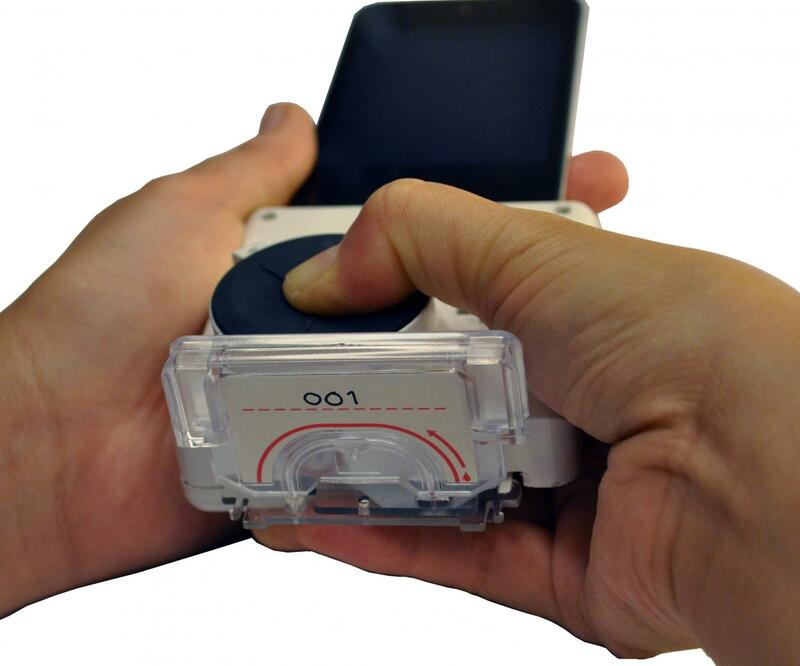 Columbia bioengineering professor Samuel K. Sia has developed a cheap smartphone dongle that can detect three infectious disease markers from a finger prick of blood in 15 minutes. The device replicates mechanical, optical, and electronic functions of a lab based blood test. It performs an enzyme-linked immunosorbent assay without requiring stored energy, as power is drawn from the phone. Its triplexed immunoassay — HIV antibody, treponemal-specific antibody for syphilis, and non-treponemal antibody for active syphilis infection — is not currently available in a single test format. This could be a breakthrough for disease prevention in the developing world. A recent study details 96 patients in Rwanda who tested whole blood obtained via a finger prick, with the goal of preventing mother to child disease transmission. 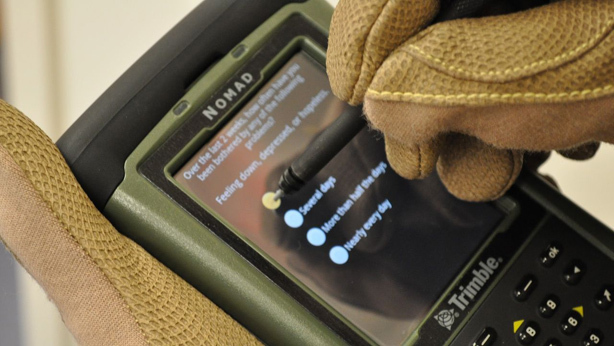 The US Army and AnthroTronix have developed an app that provides data to help diagnose and measure brain injuries in soldiers. The “DANA” includes 5, 20, and 45 minute neurocognitive tests and psychological survey questions. 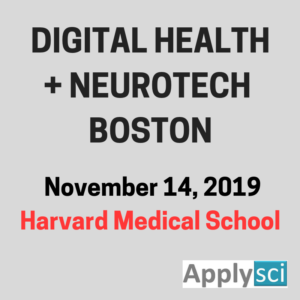 The data will help doctors diagnose traumatic brain injury and identify depression, post-traumatic stress, and other neurocognitive issues. The game-like test includes exercises that score a soldier’s speed and accuracy. A (potentially in-theater) doctor analyzes the post-injury test, and compares it to pre-deployment baseline tests. The FDA approved tool was reliable in when studied in harsh combat environments. Johns Hopkins researchers found its results correlated highly with the mini-mental state examination. It will supplement, not replace, the current hand written Military Acute Concussion Evaluation as an in-theater assessment, and the Automated Neuropsychological Assessment Metric used for a pre-deployment baselines. 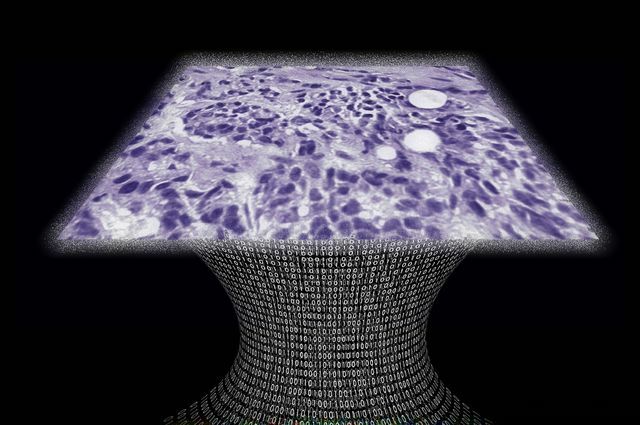 UCLA professor Aydogan Ozcan has developed a lens-free microscope for high throughput 3-D tissue imaging to detect cancer or other cell level abnormalities. Laser or light-emitting-diodes illuminate a tissue or blood sample on a slide inserted into the device. A sensor array on a microchip captures and records the pattern of shadows created by the sample. The patterns are processed as a series of holograms, forming 3-D images of the specimen. An algorithm color codes the reconstructed images. Contrasts in the samples more apparent than they would be in the holograms, detecting abnormalities. This could lead to cheaper and more portable technology for examining tissue, blood and other biomedical specimens. It will benefit patients in remote areas and in cases where large numbers of samples need to be examined quickly.